Quetion: What Are My Rehabilitation Rights? 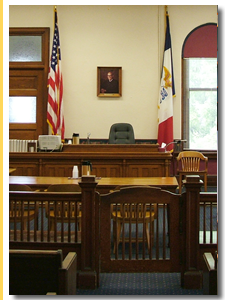 Contact a Iowa work comp lawyer representing clients in Waterloo, Iowa today to schedule your initial consultation. Answer: The word “rehabilitation” has two different meanings. Rehabilitation can mean physical therapy to help overcome an injury and regain functionality. In addition, rehabilitation can mean vocational rehabilitation or job training. Employees who can no longer do the same type of work as they did before their injury are entitled to vocational rehabilitation as part of their workers’ compensation benefits. The vocational rehabilitation benefits that an employee will be eligible for vary depending on the employee’s situation and the laws of their state. In many states, employees have the responsibility to accept vocation rehabilitation. Acceptance means that the employee will cooperate and make an effort at vocational rehabilitation and will try to return to suitable employment. In other states, however, employees are not required to participate in either physical or vocational rehabilitation. In the states that require compliance with vocational rehabilitation, workers’ compensation benefits may be suspended or reduced during the time when the employee isn’t cooperating.